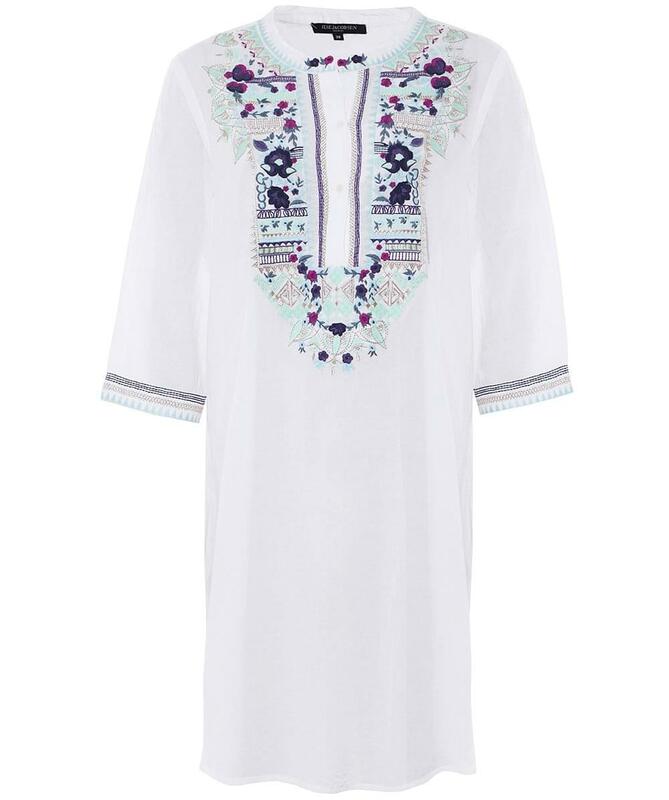 I bought the kaftan for my beach holiday. It is made of a very soft cotton; a little bit see-through but not a problem to wear over a swimming suit. The embroidery is beautiful: I just hope the colours will run in the wash.